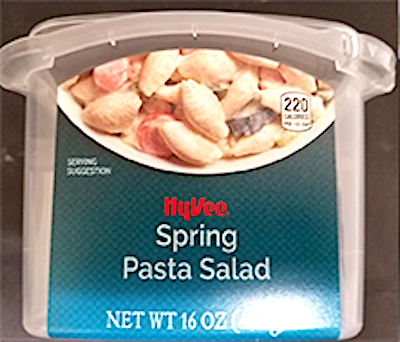 US/Silver Spring: Hy-Vee, Inc., a West Des Moines, Iowa, establishment, recalls certain batch/lots of Hy-Vee Spring Pasta Salad products due to suspected Salmonella contamination and consequential risk of gram-negative bacterial infection, severe illness and/or possible life-changing complications, all serious health hazards. US/Silver Spring: ALDI US, a Batavia, Illinois establishment, recalls certain batch/lots of AnnaSea Wasabi Ahi Poke Hawaiian Poke Kits and Limu Ahi Poke Hawaiian Poke Kits sol at certain ALDI stores due to suspected storage at incorrect temperature and consequential risk of cold chain breakage, spoilage, bacterial infection, severe illness and/or possible life-changing complications, all serious health hazards. Canada/Ottawa: Various pharmaceutical manufacturers have recalled numerous formulations of Valsartan-based drugs due to the presence of N-nitrosodimethylamine (“NDMA”), a potential human carcinogen, and consequential risk of Cancer, all serious health and safety hazards. 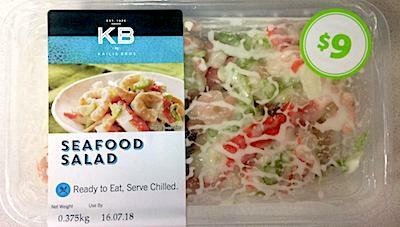 Australia/Canberra: Kailis Bros Pty Ltd, a Canning Vale, Western Australia establishment, recalls certain batch/lots of Kailis Bros branded Seafood Salads due to suspected non-compliant labelling and consequential undeclared Egg, Fish, Gluten, Shellfish, Soy and Sulphites, all known allergens, sources of dietary intolerance and possible triggers of Anaphylaxis, a serious and potential fatal situation, requiring immediate medical intervention.